​Indoor cultivation of cannabis could take huge hit from law enforcement with new, “smart” electrical meters being used to blow the whistle on the power consumption of indoor marijuana grow lights. Many clandestine marijuana growers, rather than using metered kilowatts to power their lights, use pirated electricity by tapping the lines and routing it, unmetered, to their grow rooms, reports Jay Hancock of The Baltimore Sun. Utilities have had great difficulty in detecting indoor marijuana grow operations unless they actually spot the illegal lines, because until now they’ve had little real information about what’s going on on their power grid. But now, technology has produced smart meters which measure in real time how much energy goes into the network and how much is used at the other end by paying customers. Any difference, apart from normal resistance and line loss, is electricity theft. Illegal electricity use by cannabis cultivators adds about three percent to BC Hydro customers’ bills, according to the story. BC Hydro claims shutting down the clandestine pot gardens in barns, attics, basements and closets will supposedly pay for the smart meters in less than a decade. 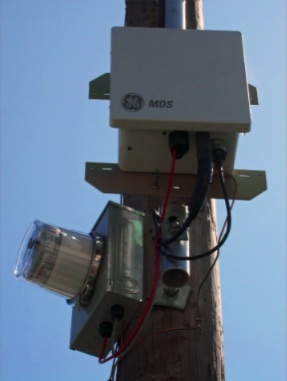 GE Digital Energy is installing 2.4 million smart meters in the Houston, Texas area for CenterPoint Energy, Inc.
​The possibility of smart meters being used to spy on pot farmers was reported by Patrick Williams at Dallas Observer, our sister blog in the Village Voice Media family, more than a year ago. The information coming from smart meters has already provided authorities with information used to shut down several indoor marijuana growing operations in British Columbia, according to the Observer. Don’t think you’re safe simply because you’re not in Canada. U.S. law enforcement authorities have also already used the smart meters to catch pot growers, reports Analog-Europe. The meters are already coming into wide use in the United States, including Texas, the Observer tells us, where power company Oncor is installing the new meters in 3.4 million Texas homes and businesses. The smart meter installation plan is scheduled for completion by 2012. Electricity companies are claiming that the main purpose of the smart meters is to ensure that customers who default on their power payments can be switched off remotely, reports Bruce Schneier at his blog, Schneier on Security. 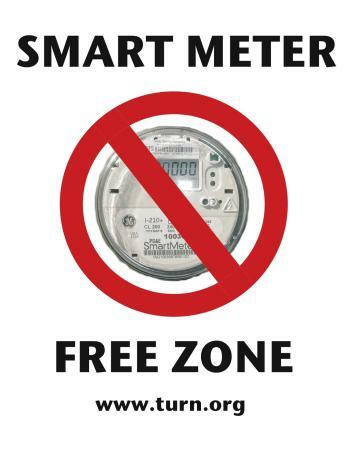 According to The Utility Reform Network (TURN), dumb “smart” meters are despised by utility company customers, who often report that the meters have resulted in higher power bills and no benefits. If you’d like to join the fight against smart meters, you can sign a petition, and if you’re interested, you can also receive TURN’s email newsletter and/or print newsletter here.